The best toilet safety frame is designed for people with limited mobility, the disabled, seniors, and those recovering from surgery or injury. They are constructed with sturdy frames, which enable them to support the weight of adults while they are using the toilets. Their high-strength construction makes it easy to sit and get off the toilet. Additionally, top quality toilet safety frames are well sized, making it comfortable for users. They are also designed with innovative designs that enable them to fit both standard and elongated toilet seats. In these reviews, we discuss those brands we believe are the best. Anyone recovering from surgery or having limited mobility or stability issues should consider the Medline Safety Frame for Toilet. It supports up to 250 pounds (not recommended for full weight bearing), and this means it works great for most people. Furthermore, it is one of the easiest-to-assemble toilet safety frames, given that it requires totally no tool to assemble it. The safety frame for toilets works with most standard and elongated toilets; hence, you will not need to make adjustments when you bring it home. Its width between armrests is adjustable from 18” – 24”, so you can have a wonderful experience using it. The aluminum construction makes this safety frame super durable. Plus there is an adjustable bracket that ensures secure mounting onto the bowl. Everyday activities can be very difficult if you suffer from arthritis, injury issues, limited mobility, or poor balance. That’s why you need the Drive Medical Stand Alone Toilet Safety Rail. It has a weight capacity of 300 pounds, meaning it works well for most people. Moreover, this toilet safety frame comes with a convenient magazine rack where you can place a newspaper or a magazine. It also has impressive dimensions, which include 21” – width between arms and 25.5” – arm height. It is comfortable to use, and this is not just because of great sizing but also padded armrests. It is a freestanding toilet safety frame that works perfectly with both standard and elongated seat toilets. Closed cell foam armrests of this toilet safety frame offer a comfortable, sure grip, thereby, eliminating all potential discomforts. Besides, this safety rail for toilets is made of aluminum, which improves its strength as well as making it more secure. It is very easy to clean to ensure that you are not inconvenienced in any way. It mounts securely onto the bowl to give you peace of mind knowing that you will not slip no matter what happens. The height of its adjustable armrest to the floor is 26” – 31”, while the width between armrests is adjustable from 8” – 24”. Also, there are other measurements, which include 16.75” – overall depth at the arm and 12” – overall depth at the leg. Vive provides a lifetime guarantee to let you buy with confidence knowing that you can return the product should it fail to meet expectations. Nonetheless, we doubt if this toilet safety frame will be a letdown. It supports up to 300 pounds, and this makes it a great purchase for many, given that not so many people exceed the 300-pound mark. The base of the toilet rail is 26.5”; hence, it fits easily in smaller bathrooms. In addition, the toilet rail has bottom rails, which are 19” to help add tip-proof stability. It is very comfortable to use, considering that its handles are padded with soft foam. Another feature that makes it convenient to use is the non-slip surface, which ensures a secure grip when you are standing or sitting. This toilet safety frame is another product that is safe to buy. It comes with unconditional lifetime guarantee, so you can buy with peace of mind knowing that the manufacturer stands behind it. What’s more, it has textured rubber handles that create a comfortable and non-slip surface to allow for a safe and secure grip when you are standing or sitting. The handles can be adjusted from 17 inches to 20 inches wide to offer a comfortable amount of space above the toilet. The safety rail for toilets supports up to 300 pounds, and it is compact enough to be used on a standard, oval or elongated toilet. It is constructed with high strength materials that are resistant to corrosion. The width between the arms of this toilet safety frame is 16.5” – 19.5”. Having said that, expect to find this toilet safety rail very comfortable and convenient to use. Ideally, this safety rail for toilets has overall dimensions of 16.25 inches long by 19.5 inches wide by 11.5 inches high, and its weight capacity is up to 300 pounds. This means the toilet safety rail makes a wonderful purchase for many people. The width between its handles is adjustable to provide you with extra comfort and convenience. Furthermore, the handles themselves are soft and padded to improve comfort as well. The toilet safety rail does not need any tools during assembly. Needless to say, you will not take long to set it up. Drive Medical knows what is best for their customers. That’s why we feel very happy introducing you to this toilet safety frame. 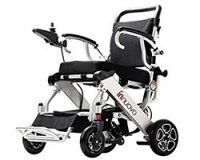 It is sturdy and lightweight; hence, it will work a treat for anyone with mobility issues, balancing issues or recovering from surgery. Its brackets boast powder coated aluminum, so they can attach it (the frame) to the toilet. In addition, the height and width of the arms of this unit are adjustable, so they can fit you perfectly. Given that it is constructed with anodized aluminum, this toilet safety frame has an impressive weight capacity of 300 pounds. Plus it is well sized, as it measures 32 inches long by 23.5 inches wide by 32 inches high. One great feature of this bathroom safety toilet rail is the foldable frame, which makes it very easy to store. This means once you are done using this toilet safety frame, simply fold it conveniently and store in the right place to help conserve save space in the bathroom. It is a freestanding safety toilet rail, which offers stable support. It is designed for those recovering from surgery/injury or those suffering from arthritis. Plus it makes a great purchase for seniors and the handicapped. It is constructed with metal steel, which enables it to support up to 300 pounds. It also has anti-slip padded grab bars that offer a secure and firm grip. The selling point of this unit is the 2-in-1 design. That being said, the unit can be used as a toilet seat as well as a safety frame. It has a maximum recommended weight of 275 pounds, meaning it works for most people. Besides, its seat height adjusts from 18 – 23 inches to provide you with the perfect height level. This unit also has a perfect width between arms, which is 18”. Plus it boasts an overall width of 21”, which is just fine. The 2-in-1 unit can fit even the narrowest bathrooms perfectly, considering that its size is compact. It is great for the disabled, seniors, and people with limited mobility. What impresses us most about this toilet safety frame is the adjustable width. Because of such an innovative width, this toilet safety frame provides its users with the best experience ever. We also like the fact that this toilet support rail attaches directly to the toilet. Having said that, expect no tipping or slipping when you have it installed in your toilet. It will give you the ultimate peace of mind knowing that it is very secure, reliable, and safe to use. Its handle is adjustable from 16” to 18” to make sure you are very comfortable when using it. Besides, the toilet support rail has Hypalon cushioned hand grips that further make it comfortable. The next section of this article brings you the factors to consider before buying a toilet safety frame. The stability of a toilet safety frame is determined by the material used to make the frame. With that said, go for a frame constructed with durable and sturdy materials such as aluminum and steel. You should also be sure to choose a safety frame for toilets that is easy to install, as ease of installation improves stability as well. There are different types of toilet seats, including standard and elongated. For this reason, be sure to go for a toilet safety frame that is designed for your toilet seat type. This ensures a perfect fit, which, in turn, improves stability. When buying a toilet safety frame, make sure you settle for a product with a maximum weight capacity that exceeds your weight. This will prevent the frame from slipping while you are using it not to mention improving its lifespan. Some toilet safety frames are designed to be attached to the bowl while others are not. In our opinion, you should consider toilet safety frames designed to be attached to a bowl because they are more secure than others with different mounting options. Toilet safety frames are great for anyone with mobility issues or those recovering from injuries/surgery. They offer an inexpensive way to use the toilet comfortably and independently. In this piece, we have carried out detailed research, so you can have accurate information about toilet safety frames before visiting amazon.com for the grandest purchase.